Top Notch Material: Cooper Kit: The Box for Daddy's and Their Kids! Cooper Kit: The Box for Daddy's and Their Kids! Now that my husband has a m-f job, we find that he has so much more time to spend with out kids, and having two boys, they can do a lot of daddy/son activities. We were lucky enough to receive a super cool subscription boxed called Cooper Kit through tomoson. This box comes every three months and provides tons of entertainment for dads and their children! Cooper Kits are huge and packed full with building and creativity activities, a bed-time storybook, dinner recipes, a character building je discussion topic, lots of humor and more. Even the box turns into a toy! Cooper Kit: It's THE subscription for modern dads. My older son who is seven had a blast building the bug house with his dad. My husband said that this kit is a lot more sturdy than other kits because it uses screws and not nails. Anyway, after it was all built we decided that it makes the PERFECT transporter for our Bearded Dragon, Franklin and holds him safely while my husband cleans his tank. There was also an activity book that we enjoyed and even made the "bug juice" which was just ginger ale, juices, lime jello and sherbert. There are bug masks to be made, and my toddler enjoyed getting in on the fun for that! The book that is included has lots of neat activities for dads and kids, lots of fun "buggy" recipes and more! There was even a sample of cheddar cheese larvets, but my toddler was the only one brave enough to taste them. He seemed to love them...but yuck! 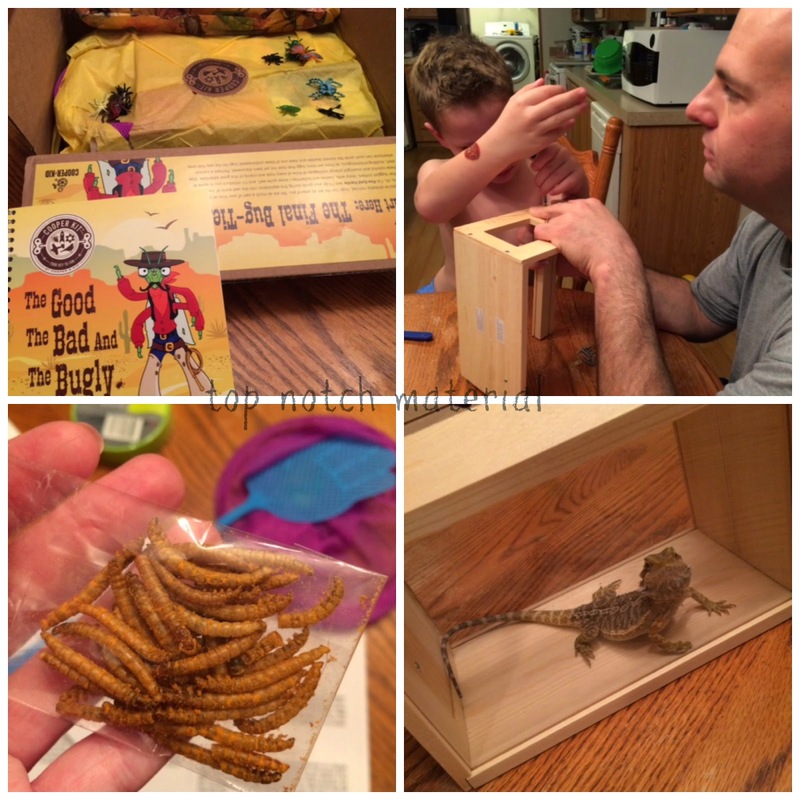 There was also little very realistic bugs that my boys have had a blast playing with after we were done with the box. Cooper Kit can definitely provide hours of fun for dads and their little ones! Even though the $312 a year (or you can purchase individually) is a little out of our price range, it is definitely an awesomely fun box for those that CAN afford it!